We’re continually bombarded with new beauty products and trends, but the truth is that sometimes all you need is a slick of lipstick to bring your look to life. To celebrate the release of its new Ultra HD Matte Lipcolor collection Revlon are on hand to answer all of your make-up woes, offering three lucky ladies the chance to win a make-up tutorial each with top Revlon make-up artist Heba Kaissy, plus products to take home with you. Ladies, it’s time to pout and let your lips do the talking with Revlon’s HD Matte Lipcolour collection. 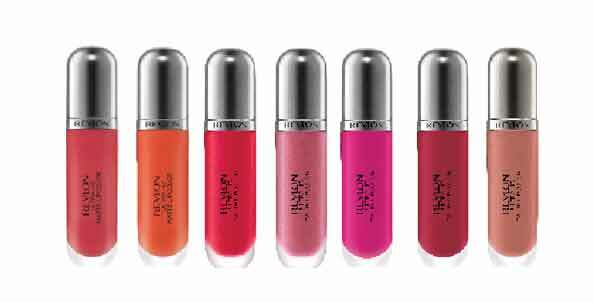 The Ultra HD Matte Lipcolor collection consists of seven shades. Choose from neutrals such as Devotion, pinker hues like Obsession or, for the ultimate statement lip, braver, brighter shades Addiction, Passion, Love, Seduction or Flirtation. Matte lips are having a major moment and the moisturising formula and lightweight, camera-ready finish of Revlon’s new Ultra HD Matte Lipcolor collection shows that matte doesn’t have to equal dry and dull. The velvety matte high definition formula is, in fact, the perfect solution to wearing a vibrant lip without the fuss of a high shine gloss. Don’t panic: Heba can demonstrate all of this to you and more.